Don't let debris slow you down. The Altra Trail Gaiter seals out dirt, rocks, or whatever else the trail might have in store. The stretchy and lightweight material doesn't add a ton of weight so you don't have to worry about feeling weighed down. "What is the material used for this?" "It is made with a neoprene-like material." "Will these work with FiveFingers shoes?" "Yes, these will work with the Five Finger shoes. We hope this information helps! " "Will these fit over hiking boots? " "Thank you for your inquiry! 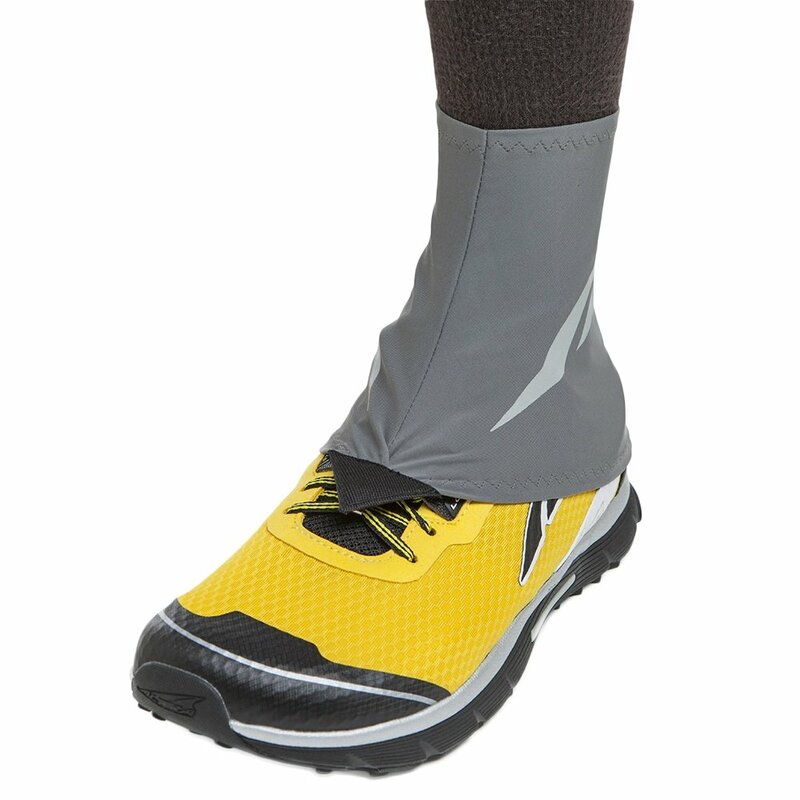 the items are made specifically for Altra trail shoes with the gaiter traps on them. We could not guarantee the function of this product on any other shoe. We hope this information helps!" They worked great for our trail run. I would recommend they. Great Item Worked great on our 27 mile trail run.